Windows Vista Beta 1 Bluescreen anyone? hmm… looks kinda weird, doesn’t it? “Good to same everything stays the same” – N00b. 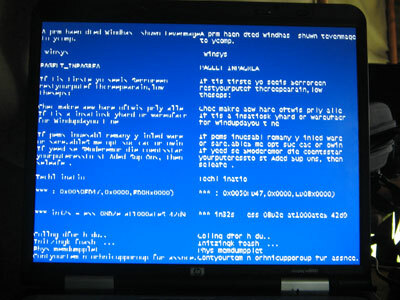 Did you ever realize why a bluescreen appears? Learn something about kernel, drivers and hardware and buy a brian.